Twenty-year-old Sam Curran has become the youngest Englishman in a century to be named as one of Wisden's five Cricketers of the Year. Kohli, who scored only 134 runs during India's previous tour of England in 2014 showed great character and scored 593 runs during India-England five-test series a year ago at an average of over 59 and booked his place on the list. 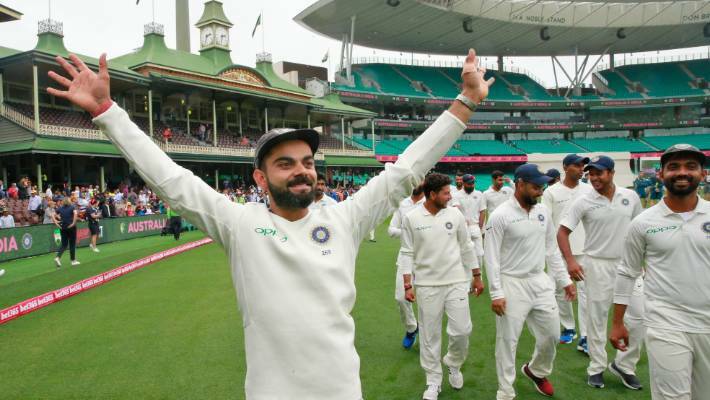 The India captain put to bed questions over his ability to thrive in English conditions past year, topping the Test run charts with 593 runs and two centuries even though his side lost the series 4-1. Mandhana, the Leading Women's Cricketer of the Year, scored 669 and 662 runs in ODIs and T20Is during the course of 2018. Opener Beaumont hit the fastest T20 century by an England women's player in June when she reached three figures from just 47 balls. His teammate, Sam Curran also had a fantastic year finishing with 272 runs and 11 wickets in his debut Test series versus India. The Surrey player, who has taken 15 wickets and scored three fifties in his nine Tests to date, also earned a million-dollar IPL deal with Kings XI Punjab. The criteria for Wisden's Five Cricketers of the Year is based mainly on their "influence on the previous English season".